The story of Zoobies (Proctor Valley Monster) actually started in the 60’s. In the early 60’s, two teens who get a flat tire while driving through Proctor Valley late at night. The gentleman pulls to the side of the road under a tree, gets out to look at the damage, his girlfriend becomes fearful when she hears a struggle, so she locks the doors, and the next thing she hears is a scraping on the roof of the car. When cops rescue her in the morning, she learns that the scraping sound was her date’s fingernails. He’s was dead and hanging by his feet from a tree branch, with big, animal-like footprints around the car. 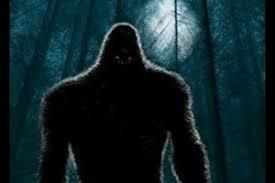 A local psychiatrist claims to have seen a Bigfoot-type creature in the hills near his house. he described a 6 to 7-foot-tall, hairy creature accompanied by two similar critters. He made a plaster cast of a footprint 16 inches long and 8 inches wide. He also related many strange happenings and sounds around his home. A listener writes “My encounter happened in 1982 in Lakeside, CA at a camp ground. 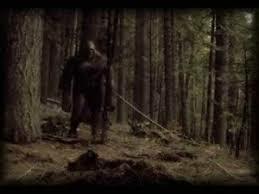 A dog was barking madly which caught our attention my then wife and I watched as a sasquatch ran from the camp ground at incredible speed. We decided to spend the night at the waters edge and what happened change our lives forever.” Spoke to the eyewitness and it is an amazing encounter. Scary stuff 😰 Can’t wait ! Thanks Wes ! Have heard that “fingernail scraping” story so many times. It’s always terrifying & I look forward to listening to the show! Sounds intriguing. Also, the preface sounds like how most urban legends begin. That area of California is old and creepy. I get dogman reports from there and it doesnt surprise me one bit. Really looking forward to the show! Thanks in advance Wes. grew up in San Diego during that time and heard different variations of that story circulating around. Everybody knew about the Proctor Valley monster. OK, I’m hunkered down and waiting for the show!